When you sit down to watch TV or video projector these days, you turn the power on, choose your channel or other content source and start watching. Most of the time the default picture settings provided by the manufacturer look fine — but if you desire to "fine tune" how your picture looks, TV makers provide several options. Brightness: Makes dark areas brighter or darker. Contrast: Makes bright areas brighter or darker. Color: Increases or decreases the saturation (intensity) of all colors in the image together. Tint (Hue) Adjusts the amount of green and magenta in the image (used primarily to dial in proper skin tones). Sharpness: Adjusts the degree of edge definition in the image. However, it does not change the resolution of the image. This setting should be used sparingly as it can display edge artifacts. Blacklight: Increase or decrease the amount of light output from the backlight or edge light system for LED/LCD TVs. This is not available for Plasma or OLED TVs. In addition to the above parameters, another that is often within the presets and well as available for individual adjustment is Color Temperature. The science of color temperature is complicated but can be summed up as a measure of frequencies of light that are emitted from a black surface as it is heated. As the black surface is "heated up" the light emitted changes color. For example, the term "red hot" is a reference to the point in which the light emitted appears to be red. Heating the surface up further, the emitted color goes from red, yellow, and eventually to white ("white hot"), and then blue. Color Temperature is measured using the Kelvin scale. Absolute black is 0 Kelvin. Shades of red range from about 1,000 to 3,000K, yellow shades range from 3,000 to 5,000K, white shades from 5,000K to 7000K, and blue ranges from 7,000 to over 10,000K. Colors below white are referred to as "warm", while colors above white are designated as cool. Note that the terms "warm" and "cool" aren't temperature related, but are merely visually descriptive. A simple way to look at how color temperature is used is with light bulbs. Depending on the type of light bulb you use, the light in your room will take on warm, neutral, or cool characteristics. Using sun-sourced natural outdoor light as the reference point, some lights cast a warmer temperature into a room, which results in a "yellowish" cast. On the other hand, some lights have a cooler temperature which results in a "blueish" cast. Color temperature is used both image capture and the display processes. A photographer or video content creator makes color temperature decisions based how he/she wants to present the result. This is done by employing things such as set lighting or shooting in various daylight or night conditions. Another factor that affects color temperature is White Balance. In order for color temperature settings to work properly, captured or displayed images must be referenced to a white value. Professional still photographers, movie, and video content creators use white balance to provide the most accurate color reference. The standardized temperature reference for optimum white that film and video content creators, as well as TV/video projector makers use, is 6500 degrees Kelvin (most often referred to as D65). Professional TV monitors used in the creation/editing/post-production process are calibrated to this standard. The D65 white reference point is actually considered slightly warm, but it is not as warm as the warm preset color temperature setting on your TV. D65 was chosen as the white reference point because it most closely matches "average daylight" and is the best compromise for both film and video sources. Think of a TV's screen as a heated light emitting surface, with the ability to display all the colors needed for a displayed image. Image information is passed from the media (TV broadcast or cable/satellite, disc, or streaming) to the TV for display. However, although the media may include the correct color temperature information, the TV or video projector may have its own color temperature default that may not display the intended color temperature "accurately." 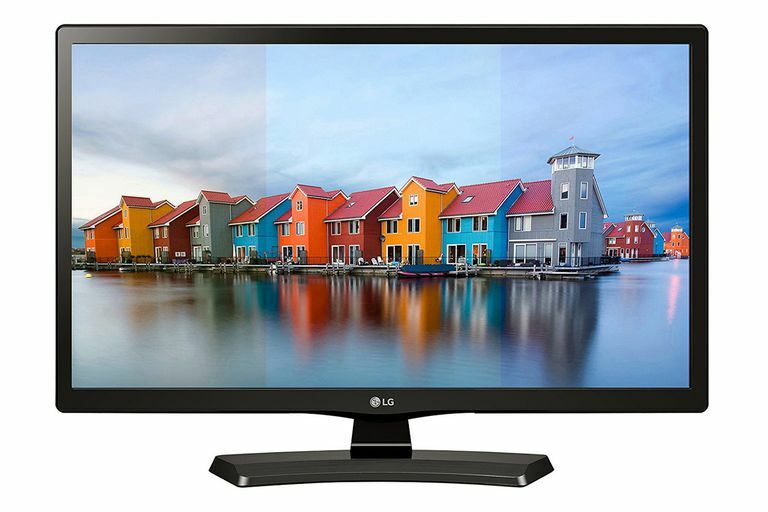 In other words, not all TVs display the same color temperature range out the box. It may be that its factory default settings may be too warm or too cool. In addition, your TV's perceived color temperature may also look slightly different as a result of your room's lighting conditions (daylight vs nighttime). Presets, such as Standard (Normal, Medium), Warm (Low), Cool (High). A continuous adjustment from warm to cool, similar to how you adjust volume, color (saturation), tint (hue), contrast, and sharpness. Additional temperature adjustment settings may be available for each color (red, green, blue) may be provided. This option is best used by a trained technician. The warm setting results in a slight shift towards red, while the cool setting adds a slight blue shift. If your TV has the Standard, Warm, and Cool options select each one and see for yourself the shift from warm to cool. The photo at top of this article illustrates of the type of color shift you might see when using color temperature settings. The image on the left is warm, the image on the right is cool, and the center best approximates a natural state. When performing more precise image calibration than the basic warm, standard, cool settings provide, the goal is to get the white reference value as close to D65 (6,500K) as possible. There are a lot of ways you can fine-tune your TV or video projector's performance. Picture settings, such as color, tint (hue), brightness, and contrast provide the most dramatic effects. However, to obtain the overall best color accuracy, color temperature settings are an additional tool that most TVs and video projectors provide. The key thing to remember is that all the available picture adjustment settings although able to be dialed in individually, all interact with each other in optimizing your TV viewing experience. Of course, regardless of all the setting and technical procedures available, you also have to consider that we all perceive color differently, which means, adjust your TV so that it looks best to you.